Rather unusual episode, which feels more like a collection of good scenes than a regular flow of events. Hardly something I would complain about, but it’s an amusing outcome considering people’s expectations of a climactic performance episode. 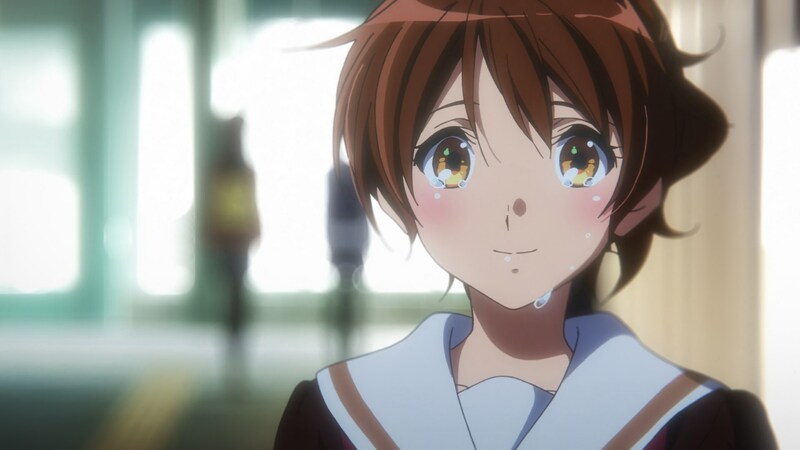 Instead we got a series of satisfying and elegant resolutions to most ongoing narrative threads, which in isolation aren’t particularly noteworthy but as follow-ups are excellent; Asuka’s happiness upon being acknowledged and the final reunion of the siblings are brief scenes with no big developments, but they feel perfectly earned. 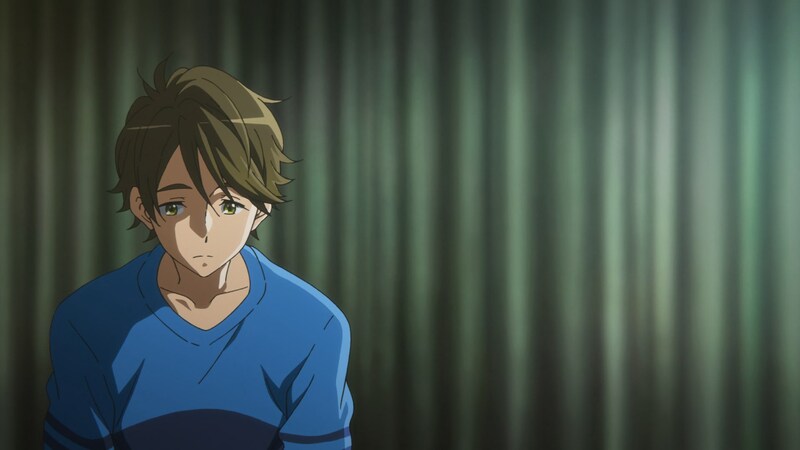 Even Taki’s nonchalant responses to Reina’s ridiculous efforts go a long way to undo the relative damage of the previous episode. I’m very pleased with this anticlimax. I feel like the first aspect I should address, if I intend to make these posts any useful, is the storyboarding mystery. Yamada and Kigami might as well be the strongest episode directors at the studio, so having them share the role was quite the event. Unlike episode 5, which was by all means Kigami’s work with Ishihara only taking over the boards during the concert, this time we experienced a more classic halfway split. The reason is obvious – the Nationals performance was actually skipped, in a move equal parts smart and cruel. 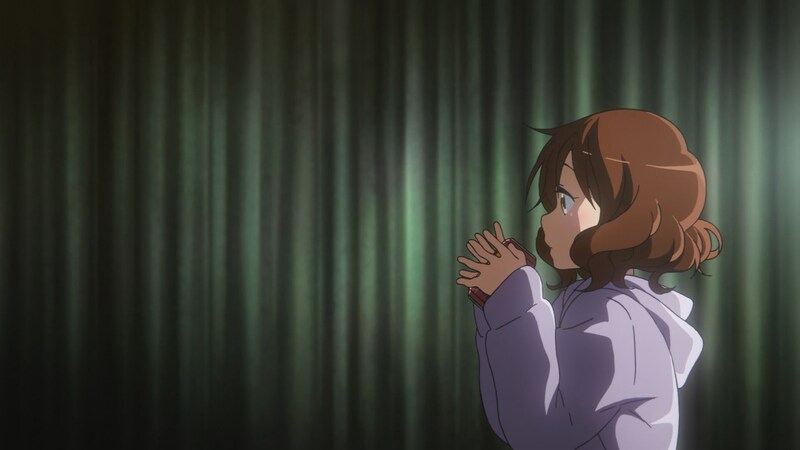 Making the viewers sit through the uninterrupted spectacle of their play was already pushing the boundaries of what TV anime audiences might be willing to watch, so repeating the scene with the exact same tune would have been a bit too much. 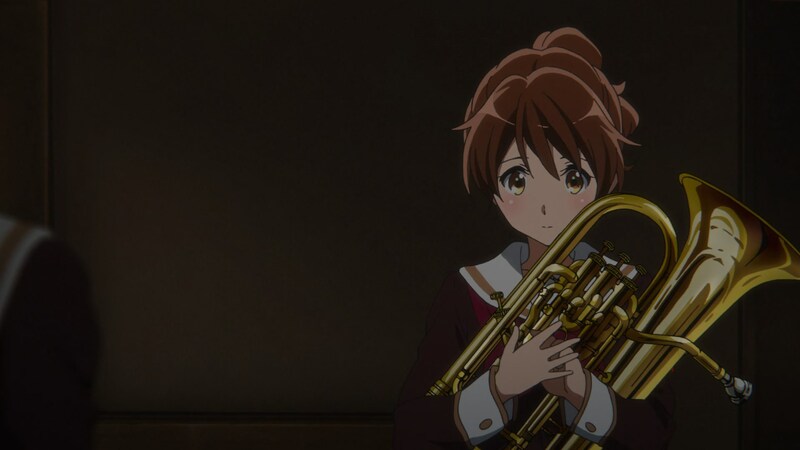 If they’ve instead chosen to animate a fancy original performance for the actual finale, which would let them change pieces, I’m all in for this decision. But back to the main point, the storyboarding duties. If you’ve paid attention you might have noticed that I already spoiled the surprise, since I listed them in appearance order – unlike the credits within the episode, where seniority still seems to be the rule. Naoko Yamada storyboarded the first half of the episode, once again not bothering to hide her quirks. 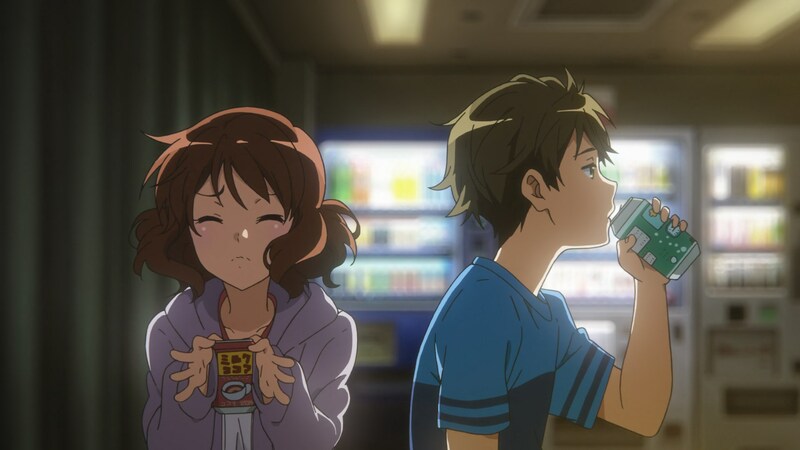 It’s easy to point at the most obvious ones, but her presence also leaks through details; the mannerisms, down to the reaction to trying to hold a can that’s too hot, the thoroughness when depicting lighting sources, even the roundness of her storyboard drawings making it to some shots. 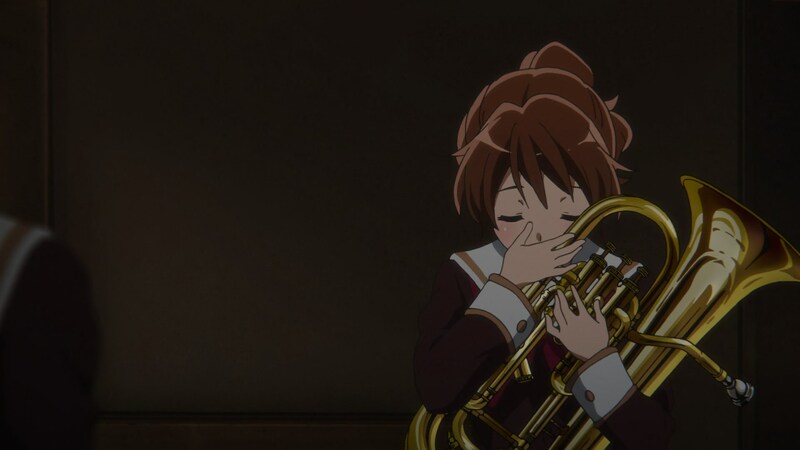 Her precious attention to detail elevates the episode during moments like the backstage preparation; Kumiko pretends to swallow the character 人 from her palm as is tradition to calm down, but barely any attention is drawn to the fact other than the very brief glimpse of it we get. As much as I enjoyed some of the subtler touches though, my favorite scene during her segment was the bus ride and its implications. It directly mirrors the one seen during the first episode, this time capturing confidence and optimism rather than regret. 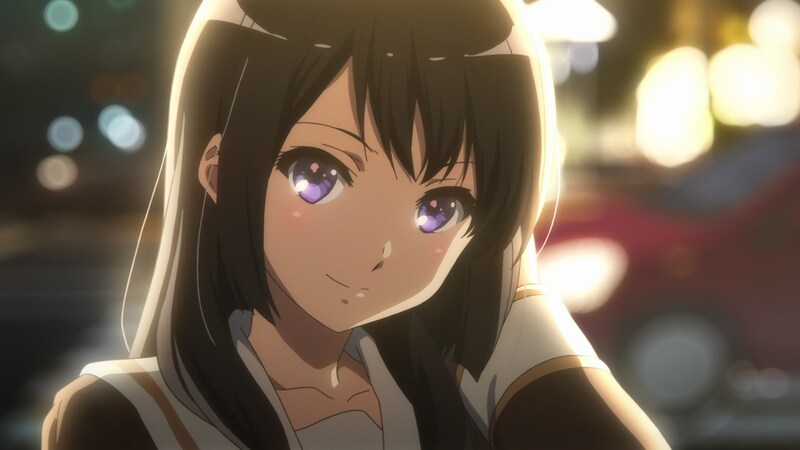 Aside from gracefully giving closure to Mizore’s entire arc, I can’t deny that seeing Yamada call back to Haruka Fujita’s work is simply adorable. The mentor nodding to her young pupil, whom she had strongly influenced to begin with. This time it was spurred by a narrative reason, but it’s always important to keep in mind that these relationships work in both directions. Just recently I was rewatching Sailor Moon with a group of friends, and Igarashi’s directional debut reminded me of the Ikuhara show that clearly borrowed one of his pupil’s early scenes. Creator lineages and their consequences are always fascinating! The commercial break marked the switch to Kigami’s storyboard, and thus a new set of priorities. His very first scene, depicting the post-performance yet pre-results moments, already demonstrates his mastery; the first passerby lowers your guard for foreground elements, making the match cut transition with the second one all the more effective. Details like this obviously have no sizable narrative effect, but they’re displays of competence that do enhance the experience. 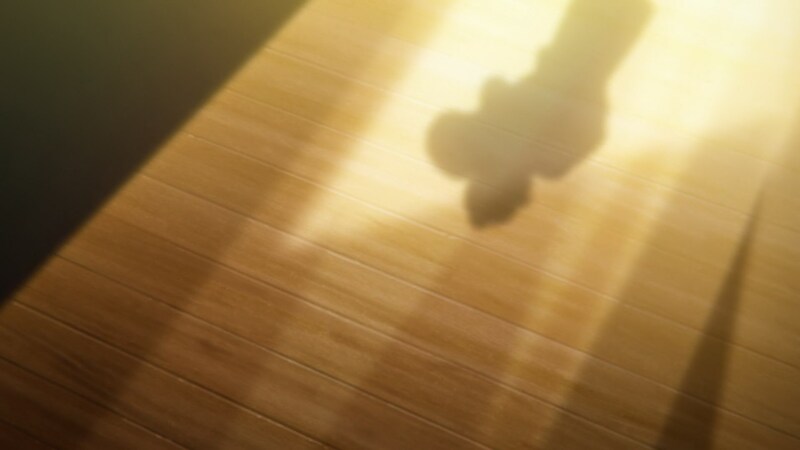 And unlike the previous opportunities Kigami had been given, this time the material didn’t really allow for flashy cathartic moments to begin with – save for the final scene perhaps, and even then that was simply a beautiful instant that the show had already prepared all the groundwork for. 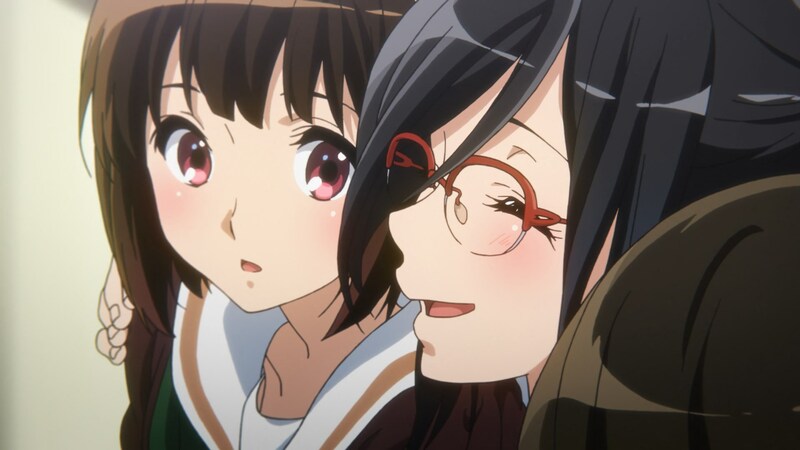 If I was forced to look beyond sisterly bonds and tears – Kumiko’s and maybe my own – I would point out that the photography work during that sequence is remarkably similar to the famous Reina smile during the fifth episode of the first season, which was also directed by Kigami. In the end I get similar vibes from this episode as with the second one, although with more chaotic but fundamentally stronger material; two titanic directional personalities trying to share a space too small, meaning this won’t be the best work either have done as of late. That is a very high bar however, and I can’t say I found the episode any disappointing. I feel like there isn’t much to clarify about the animation this time around, as it’s unremarkable within the show’s expected boundaries of excellence. I get the feeling Tatsunari Maruko was the animation director for the second half of the episode, an idea supported by the commemorative illustration portraying one of its scenes. 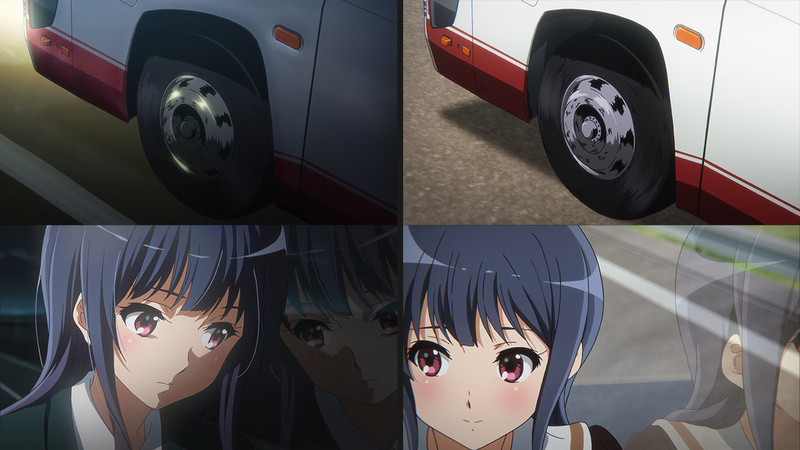 That segment of the episode does have the most noteworthy motion, shining on scenes like Reina’s struggle. 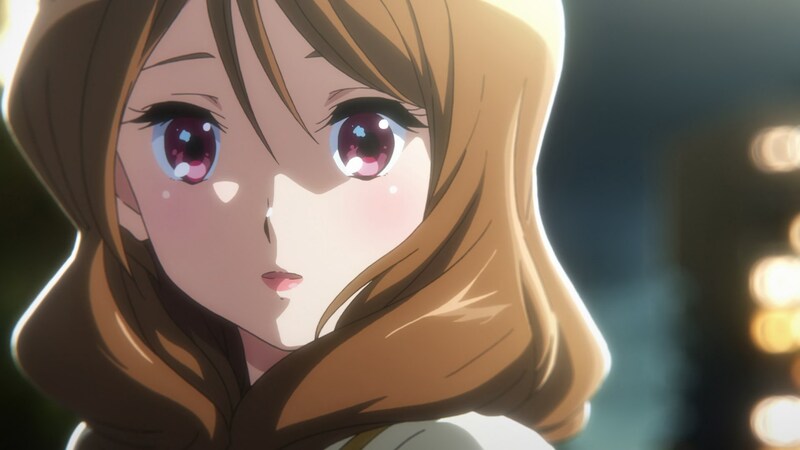 The beginning of the episode on the other hand, where the drawing quality is generally at its highest, appears to have been supervised by Yuko Myouken. I’ve always perceived her as a striking illustrator, so that does line up with my guess as well. There are three tiny groups of animators this time around; the first two are dominated by very young talent, while the third one features more experienced artists. The former likely split the two halves of the episode, while the veterans polished things up doing clean-up work – amongst them there are animators like Rie Sezaki and Mariko Takahashi who specialize in polishing drawings, so once again I’m confident in that guess. Kinda sad that we only have one episode left, but at least it seems like it’ll be a grand finale. 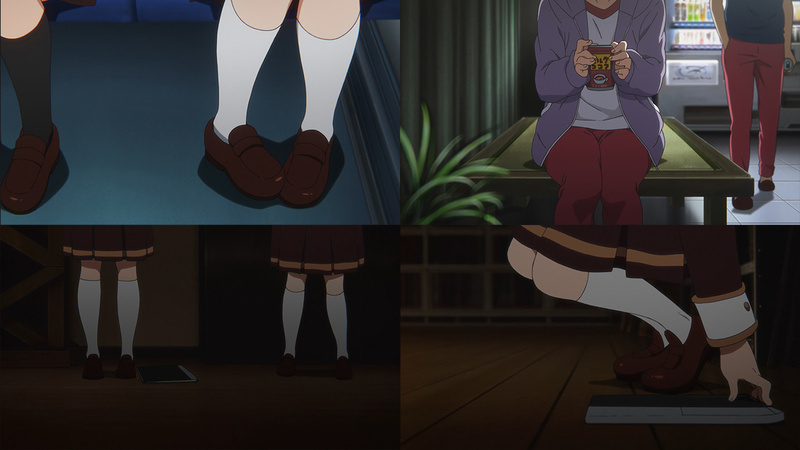 I think that’s more boarding style prevailing rather than anything else, the entire scene was very casual and unromantic if that’s what you’re worried about. It’s not an uncommon boarding style I’d say. Other directors use this type of boarding sometimes too. A pretty good debut episode for Maruko. The first half was so very Yamada… The bean bags really got me before anything. Easily my favorite backgrand character detail this week, though the group of friends from another school trying to share the same weird hairstyle was great too (what’s the story there?!). These things give so much texture. Like I said earlier, it was a pretty good episode for Maruko to make his official AD debut. Even though Myouken’s half had even better animation.